Does Every Accident Require A Traffic Light? Let me start this by saying, this post is not directed at anyone in particular. Recently there was a serious accident at an intersections south of Georgetown, Delaware at the intersection of Rt. 113 and Speedway Rd. The accident involved a young woman, who because she could not see around a full-size pick-up truck that was coming at her, pull into the path of another oncoming vehicle. Since this accident there has been a lot of talk about closing the intersection completely, or at least until a traffic light can be installed. In case you are not familiar with this intersection, it is on a straight section of Rt. 113, there are no obstructions, there is no blind curve, there is nothing to block your view of the traffic flow, except the traffic itself. In this case the young woman was making a left turn across Rt. 113, the full-size pick-up truck was headed in the opposite direction and was being followed by another vehicle that was in a blind spot for the young woman. I have been a professional driver for over thirty years, and one of the cardinal rules of driving is, if you can’t see, don’t move. I have also been driving in the Georgetown area for over thirty years and know this intersection well. The left turns have a break down lane, and space to wait in line if the intersection is occupied. Sometimes accidents happen to good people who simply make a mistake, either out of inexperience, or impatience, or from being distracted. I believe this is what happened in this case, and usually it is the case in most accidents. But there seems to be an inclination to blame the intersection, much like blaming guns for gun deaths. And I might agree if the intersection were somehow obstructed, or if there were no place for cars to line up and wait, but that is not the case. I should add that there is another crossover about five-hundred feet up from this one which leads to the same cross roads, it too was the scene of a serious accident, and has since been closed, which only added to the number of cars using the one that is still open. I would also add in my opinion, as someone who drives somewhere around forty, or fifty thousand miles a year, that the intersection that is currently closed is the safer of the two. It has dividing islands and has more space in the cross over. The idea of closing these crossovers after these accidents is some kind of bizarre road side shrine. My real reason for writing this post is to ask the question, does every accident require a new traffic light be installed, or that a cross over be closed? It seems that those calling for the intersection to be closed, and a light to be placed here, are really saying that the people involved in these accidents have no responsibility for their actions. It is tragic when people are hurt in accidents, but this does not mean that government must rush out, and attempt to be seen as doing something. Government cannot protect us from ourselves, no matter how many lights it puts up. Let us say that this intersection gets that shiny new light, and let’s say that someone runs a red light there, and causes another serious accident, then what? What will government do then to protect us? There is no way for government to stop people from making honest mistakes, and no way to stop us from making stupid mistakes, that is unless government intends to give each citizen a buddy, a government paid person to walk, and ride with us everyday, to live with us, to be there to pull us back when we step off the curb into traffic, to remind us that we left the burner on, on the stove. This is how we get mission creep from our government. The idea that government can solve all problems, and protect all people from all dangers. Thousands of people cross at this intersections in a single week, maybe even in a day, and while we have seen accidents here in the past, some serious like this latest, does the percentage of accidents per number of cars using the intersection really warrant government action to the extent of installing another traffic light that will only slow the flow of traffic, and create more driver frustration, when it is more often driver frustration, and impatience that leads to accidents in the first place. It is inevitable that an accident involving a young person who is seriously injured draws media attention, and public outcry, that government will feel the need to do what government always does, over-react. 11 Comments on "Does Every Accident Require A Traffic Light?" More of the Nanny state of mind I am afraid. Just as seatbeltd do not save lives, people do. This clamor for anather light at this intersection will not either, it will simply move the problem to anather location. Add to that the fact that in a effort to ease the grid lock in Millsboro, Zoar road got designated as the route 24 bypass, thus increaseing the congestion at the intersection. That simple fact alone increased the number of accidents there, based simply on the volume increase. The war is lost however. The new light at Arrow safety road and at Wallmart, has effectively gridlocked traffic in G-town during periods of high traffic usage on the highway, just like the Lowes light in Millsboro gridlocked Millsboro. ! more light at this point in G-town is only icing on the cake to hurry the clamor for a Bypass around G-town. So…. you think accidents are preferable to traffic lights. So delacrat, do you want a traffic light at every scene of an accident? The question you need to ask is why Frank prefers accidents to traffic lights. I can’t help with that one. You have to get there on your own. The question is why delacrat can’t answer any question. I stated my view of this one intersection, you made it about every intersection, so again, would you have a light at every intersection in the hope of stopping ALL accidents? Since my opinion is of such importance to you, let me offer 2 in answer to your stupid question. 1) If you think “accidents here in the past, some serious like this latest” don’t argue for a traffic light, well, then by your “logic” and “values”, traffic lights should not be anywhere. I traversed that intersection 2wice daily, sometimes more for 13 years. Not so much as a closs call. Distraction, impatience, and poor defensive driving skills cause accidents. 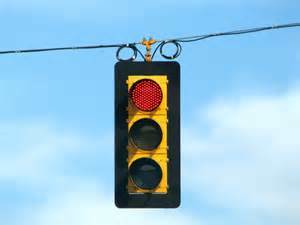 Those lobbying for the traffic signal to save them from their own shortcomings, see above, will be the cause of gridlock in Gtown that will rival that in existance in Millsboro now. Thank you for bringing the route 1 gridlock from the beach to the middle of the county. WATERPIRATE- the thanks for that belongs to the county council- they have not meet a developer or development that don’t like yet…. Delacrat, learn to read, read to learn. Notice in the original post I give examples of when lights might be needed to correct dangerous situation, I happen to not think this is one of them. Intersections do not cause accident, people do. And thank you, it has been at least a week since anyone called me an idiot, I was starting to think I had lost my touch. 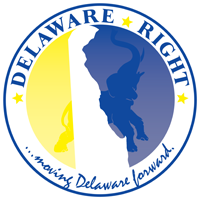 The idea that yur attempting to portray that “every acidient” needs or has had a light installed at the incident site leases me to believe that either you are unfamiliar with MVC’s that occurs within Delaware, or that you were mearly looking for a sessational headline. Both of which only complicate and “muddy” the issue. While a traffic light can not directly dictate the actions of every indivual, it can better control and limit the ability of the majority better then an “open intersection” or a 4 way stop can. This can be easil identified through cultural norms of red lights seeming to have more “authority” or “precedence”, the ability to see it from a longer distance and better during limited visibility, while also controlling the amount of traffic flowing through it in any one direction at all times. GSW, if you are familiar at all with this intersection then you know that it is, as I have stated several times here, a wide open intersection on a straight piece of Rt. 113 with no obstructions. My point here is that in this case a traffic light is not warranted, the number of accidents per the number of cars using this intersection safely does not seem abnormal. It is my view that the traffic light is an emotional response to a tragic accident. But I will ask you the same question, if lights save lives, would you place one at every intersection, and if not why? ← Who Got The Spelling Wrong On Their Campaign Signs? Not Don Ayotte, This Time!